Perhaps you purchased a horse that you believe was misrepresented by the seller. Possibly you own a boarding stable and have a client who seems to have abandoned their horses. 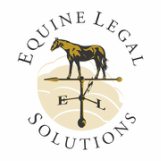 Maybe you have sold a horse to a buyer who has not completed their payment obligations. All of these situations and more may lead to a legal dispute.